Sponsored by The Boston College School of Theology and Ministry (STM), the Boston College Libraries, and the Boisi Center for Religion and American Public Life. 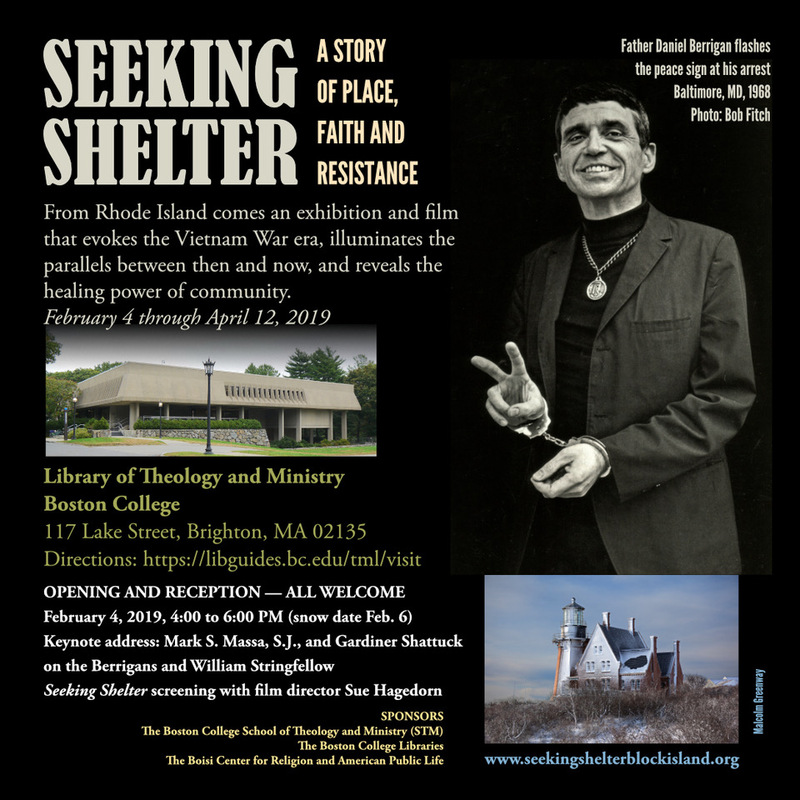 All are welcome at the opening reception on Monday, February 4th, 2019 (snow date, Wednesday, February 6th) from 4:00 to 6:00 p.m. at the Atrium Gallery of Boston College's Theology and Ministry Library. The reception will feature a shared keynote address by Mark S. Massa, S.J., and Gardiner Shattuck, who will comment on the Berrigans and William Stringfellow respectively. There will also be a screening of the Seeking Shelter film and talk-back with film director, Sue Hagedorn. The exhibition will remain in the Atrium Gallery through April 12th. For directions and parking information, please see the Visit page on the website for the Theology and Ministry Library's website.